After business hours please contact Tom at (540) 287-9504 Just recently added to our inventory we have a BEAUTIFUL 2014 Nissan Sentra SV! This Sentra SV is black, sitting on alloy wheels with good tread on the tires, and is matched inside with a CLEAN black cloth interior! Powered by a 1.8L 4 cylinder motor, paired with a SMOOTH automatic transmission, and is capable of seeing upwards of 39 MPG! LOADED with tons of great features, like the power windows, power locks, power mirrors, cruise control, and that's only listing a few! Premium surround sound speaker system, with AM/FM radio, CD player, MP3 playback capable, and even has built in auxiliary cord hook ups! With so many great features, and so many more to still see, this is NOT a deal your going to want to miss out on! 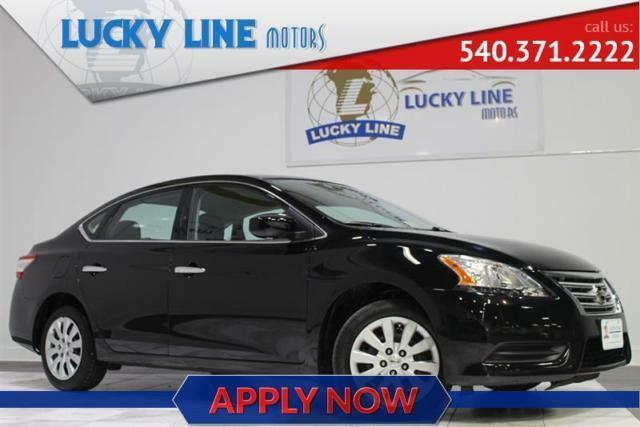 So hurry and call, or stop by TODAY to schedule your test drive before you miss your chance to have this GORGEOUS, 2014 Nissan Sentra SV parked in your driveway!